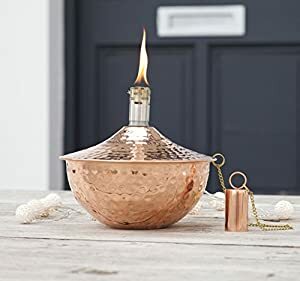 Garden incinerators & Fire Pits are delighted to present the brilliant Roma - Copper Garden Oil Lantern - Outdoor Lighting Oil Lamp - Wedding Gift Valentines - 18 X 18 X 1650 Cm. With so many on offer recently, it is great to have a brand you can trust. 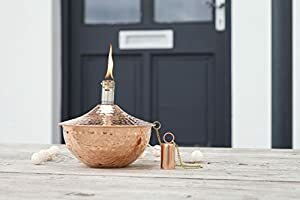 The Roma - Copper Garden Oil Lantern - Outdoor Lighting Oil Lamp - Wedding Gift Valentines - 18 X 18 X 1650 Cm is certainly that and will be a superb purchase. 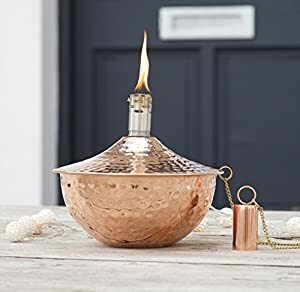 For this great price, the Roma - Copper Garden Oil Lantern - Outdoor Lighting Oil Lamp - Wedding Gift Valentines - 18 X 18 X 1650 Cm is widely recommended and is always a regular choice with lots of people. Za Za Homes have provided some great touches and this means good value for money. 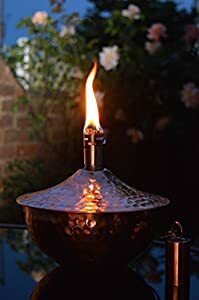 All of our high quality oil lamps and oil torches come complete with fibre glass wicks which are very long lasting to provide years of use. They will remain alight even in moderately windy conditions. 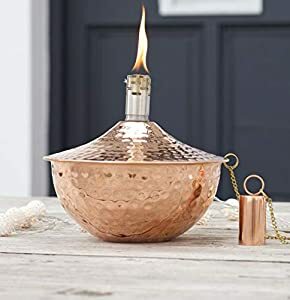 Lamps are made from high quality stainless steel or copper making them strongly durable in the outdoor conditions. 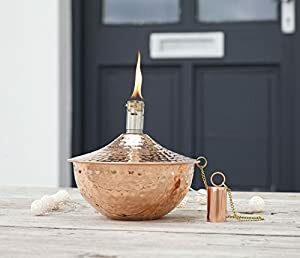 Oil lamps are easy to fill and we recommend using our Citronella Oil which helps to create an excellent flame. We are an established family run business based in Cornwall. 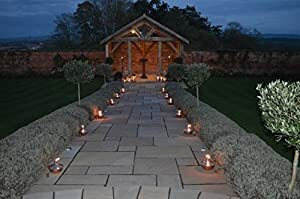 Our passion is to select high quality products for your home and garden from carefully chosen manufacturers renowned for their excellent quality and design. All items are shipped with tracking on a 'delivery to door' basis, Mon-Fri.Orders received by 1pm will be processed and shipped the same day for expedited requests. Orders received after 1pm or on a standard request will be processed and despatched the next working day. Free returns only apply to items that have been damaged or have quality issues. We must be informed of this within 48 hours of delivery and photographic proof must be sent. Customers will otherwise be charged the set delivery and collection rate for returns. 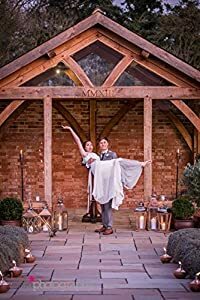 Please contact us on 01392 433091 or email with any questions or specific requirements. 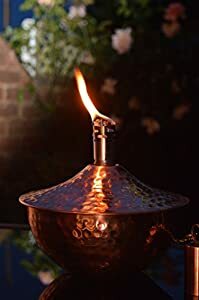 This decorative oil lamp adds a touch of romance and glamour to any occasion - weddings, parties and events. As purchased by Game of Thrones ! 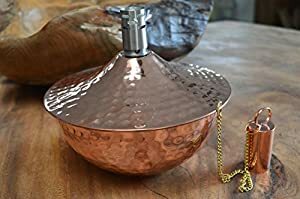 Made from high quality hand hammered copper. 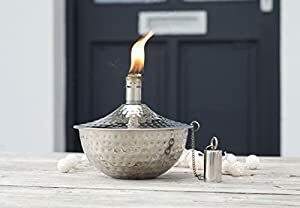 Has a fibre glass wick which provides years of use. 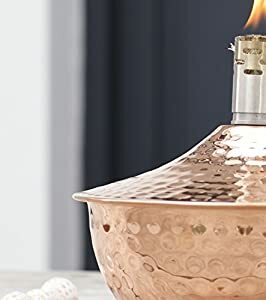 Will burn for hours with a warming glow. 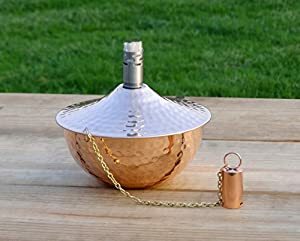 Capacity 850ml - Estimated burn time 9 to 11 hours. 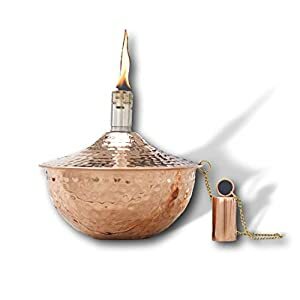 Complete your order with our selection of Barrettine lamp and torch oil. 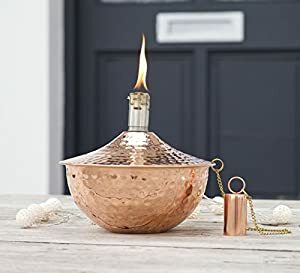 Designed for use outdoors. 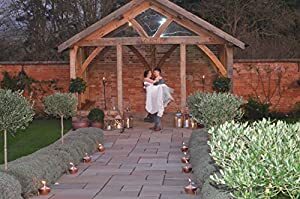 Can also float on water making a stunning garden feature. Available in Silver.